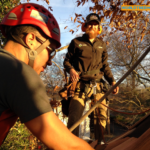 Waves in the tree: similar to the bark of the trees it’s nestled in, our downtown Asheville treehouse’s cedar shake siding is carefully sculpted by the World Treehouses’ builders in a connecting wave pattern that undulates around and around the structure. This is just one of the details making this treehouse, in the words of Rachel, its owner, “a floating work of art”! 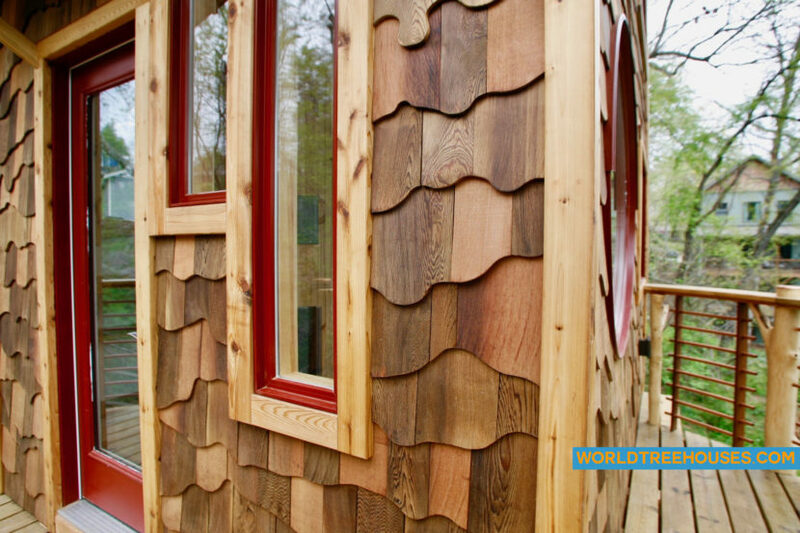 Do you want a treehouse in your backyard or up in the back 40? Share your treehouse dreams with us.